Love cake, M&M’s® and chocolate? Then your dreams have just come true with the new M&M’s® Cake Bars. You’ll find five individually wrapped cake bars, filled with a scrumptious soft chocolate sponge, topped with a layer of cream and crunchy crispy pieces, all coated in delicious milk chocolate. How good does that sound?! Make sure you pop the new M&M’s® Cake Bars on your shopping list - ideal for a morning or afternoon treat! To celebrate the launch of M&M’s® Cake Bars we’re giving two readers the chance to win a £250 Experience Day voucher and two packs of M&M’s® Cake Bars. So if you fancy getting your hands on some, enter the competition below. The competition closes [04.12.18]. The winner will be selected from all entries received before the closing date. 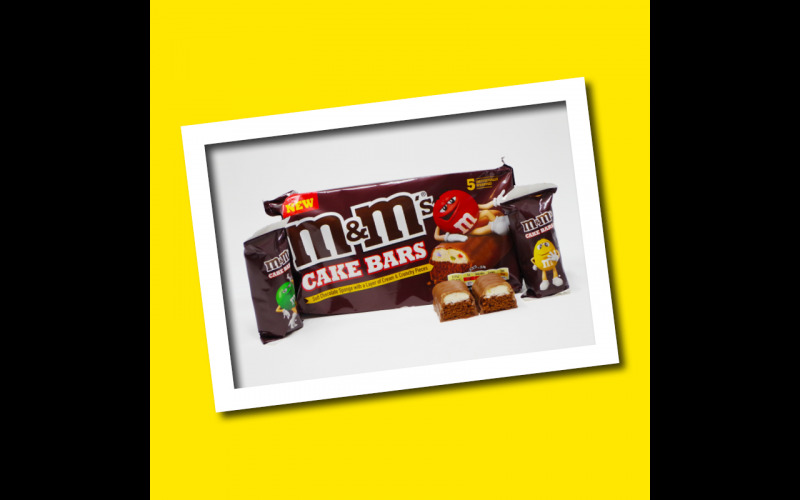 The M&M’s® Cake Bars are available from Tesco, Asda, Co-op, and Morrisons. RRP £1.65.